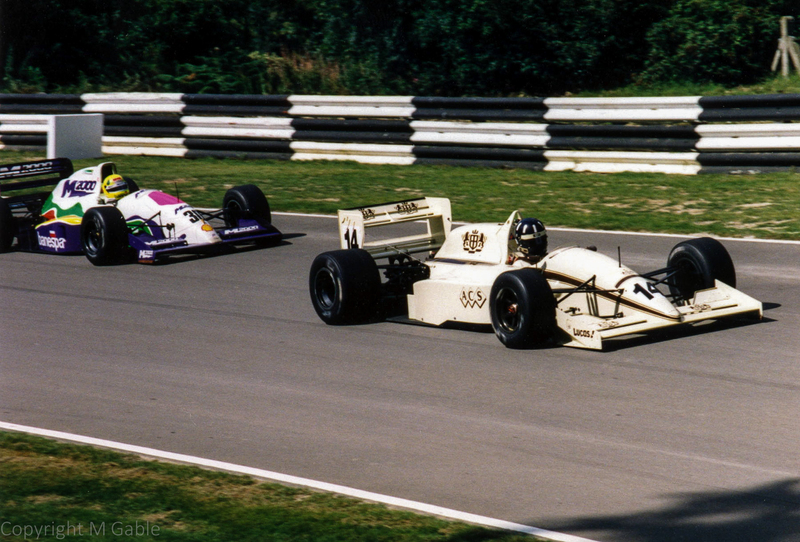 International F3000 Championship 1991 - Brands Hatch: Damon Hill (leading Christian Fittipaldi) - Lola T91/50 - Jordan Racing. Finished 6th. Turning into Hawthorns.